A Shanghai resident died an hour after returning home from a brief detention at the police station, and now his neighbors are protesting the mysterious death. Early on Thursday morning, policemen and property management officials handcuffed Shanghai resident Shen Yong and took him away. He was returned about two hours later, complaining of being short of breath, and though the family called an ambulance, within an hour he was dead at the hospital. “More than twenty police and more than forty security officers took my father’s body away from the hospital. I was there, and they tied me up first, then stole my father’s body,” Shen’s son Shen Yaming told Radio Free Asia Mandarin (RFA) on Friday, saying that the police would not let the family arrange a funeral, either, for security reasons. Another resident told RFA that he witnessed the police forcing Shen’s son into the back of a police car and said that he had been hit by the police in the kidneys. A photograph of Shen’s body showed bruises around his neck. Mr. Shen had been a problem to the authorities for several years, petitioning over the city’s demolition of his property for development six years ago, and allegedly living with his mother in an illegal structure near his old home. About 30 residents of the neighborhood where Mr. Shen lived with his mother, along with others from another area, protested at the Shanghai city government headquarters, chanting slogans about Mr. Shen and how they had been cheated over compensation for the demolition of their homes for development, said the Straits Times. Reports say that the protesters were chanting before the police herded them into an area designated for petitioning grievances with the government, and prevented protesters from taking photos on their cell phones. 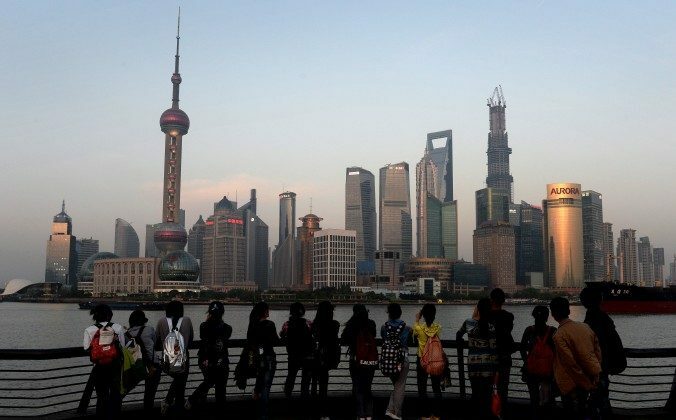 The mass eviction of over 900 residents of the area in Pudong district, where Shen lived, has been a sore point with residents, who have said that they were paid far less than the market value for their homes. Internet censors have removed Shen’s name from Sina Weibo, China’s social media, and police took one person who reposted the news of Mr. Shen’s death, and he has not been heard from since.